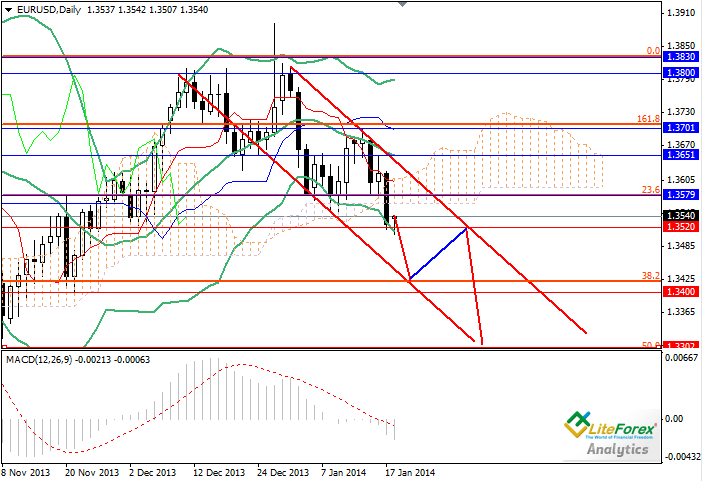 European currency can slightly regain losses; however in the medium-term the pair will continue downtrend. Key support level of 1.3580 has been broken down and the next target of the “bears” is 1.3400. The price will continue to move in the downward channel. Levels of support: 1.3520, 1.3400 and 1.3300. Levels of resistance: 1.3580, 1.3650, 1.3700 and 1.3830. It is recommended to open short positions with profit taking at the level of 1.3300. Pending sell orders can be placed from the level of 1.3580, in view of insignificant correction.